Airports flood mitigation system has been deployed due to high river levels. See the usable runway length on images below. The floodwall will extend across the southeast portion of runway 14-32 Saturday March 22 at 07:00. The threshold displacement for runway 14-32 will take place on Saturday morning at 07:00. This will shorten the 6,491-foot runway by 1,150 feet. The runway will remain open at the shortened distances. 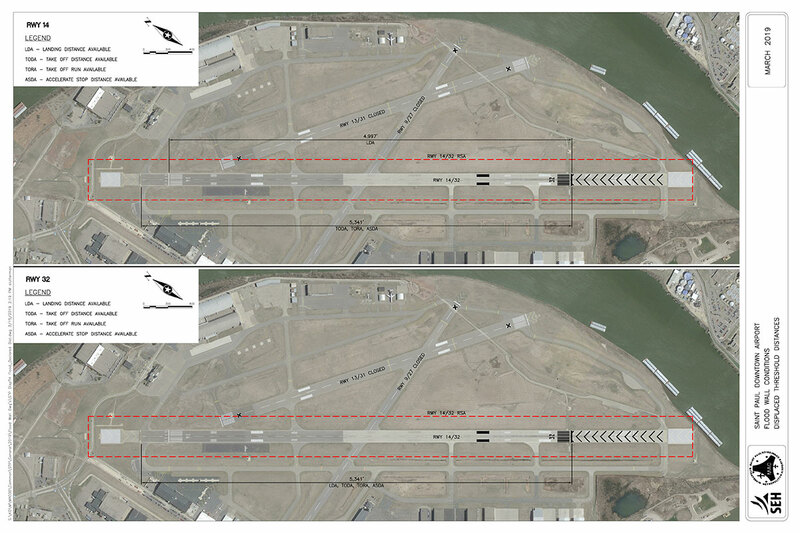 We have attached the runway takeoff and landing distances when the floodwall is deployed across runway 14-32. These will be the instrument approach procedures that will be in service when the floodwall is deployed across Runway 14-32.